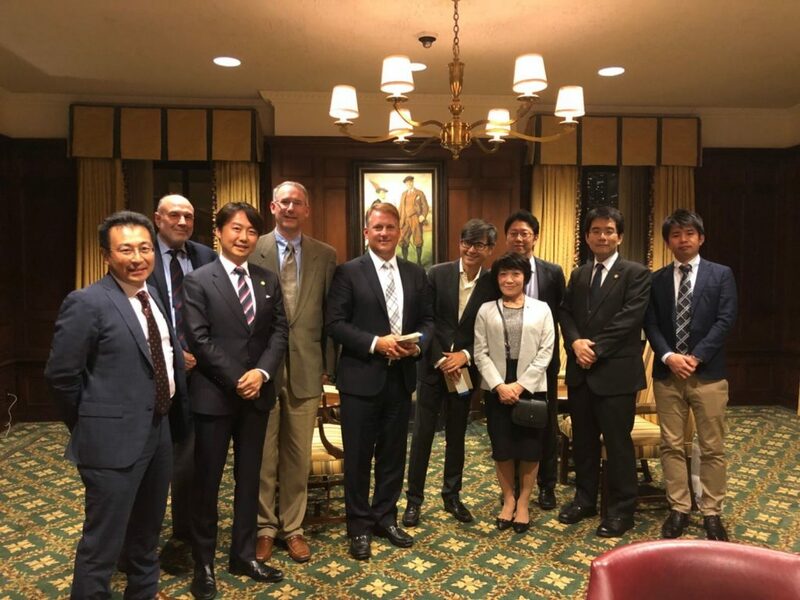 On September 25, 2018, five members from the International Activity Center (an affiliated organization of the Japan Patent Attorneys Association (JPAA)) had a meeting with leading members of the Intellectual Property Law Association of Chicago (IPLAC), including the incumbent President, Mr. Adam Kelly. Two members from JETRO were also invited to the meeting. It was the first chance for JPAA to meet with IPLAC to exchange greetings directly. The meeting, which was generously hosted by Mr. Kelly, was held at the Chicago Club, the city’s premier club founded in 1869. After introduction of attendees and their organizations, the members discussed recent topics relating to IP, as well as possible future collaborations between JPAA and IPLAC. This is one of the efforts by JPAA to establish cordial relationships with IP-focused associations globally.